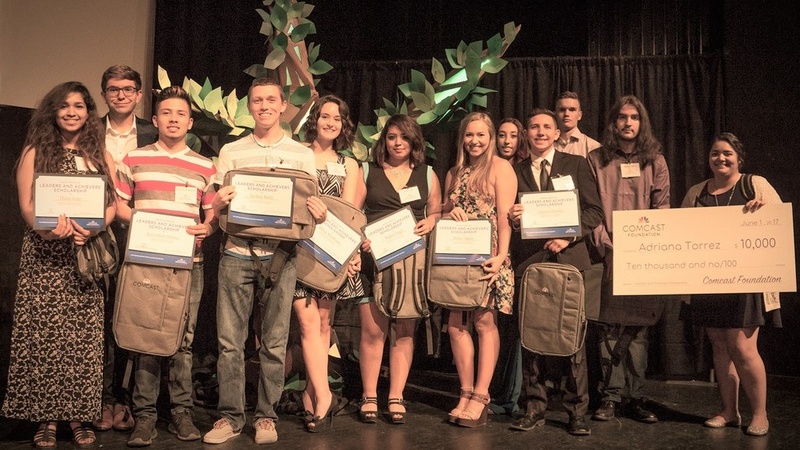 Today, Comcast awarded $39,000 in scholarships to New Mexico students for the 2017-2018 school year as part of its annual Leaders and Achievers® Scholarship Program. The program, funded by the Comcast Foundation, recognizes the best and brightest high school seniors for their community service, academic performance and leadership skills. 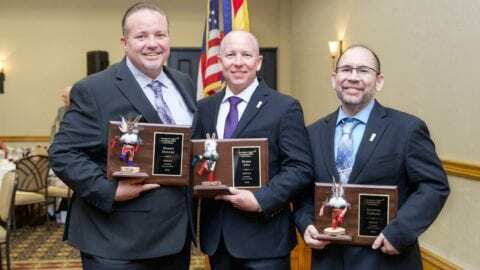 30 students across New Mexico each received $1,000. One student, Adriana Torrez, a resident of Albuquerque, New Mexico and student at Valley High School was selected to receive an additional $9,000 Comcast Founders Scholarship – instituted in honor of Ralph J. Roberts, Founder and Chairman Emeritus of Comcast Corporation. 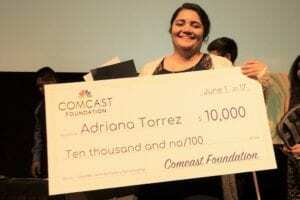 This year, the program will award more than $2 million in scholarships to more than 2,000 students across the country to help them pursue higher education.To learn more about the Comcast Leaders and Achievers® Scholarship Program and the Comcast Founders Scholarship recipient, Adriana Torrez, watch the video below. You can also visit www.facebook.com/ComcastLeadersandAchievers.